In 1938, the Nationalist forces under General Francisco Franco were winning over the Republicans fighting the Spanish Civil War, and several semi-postal souvenir sheets were issued which emphasized the Nationalists' patriotism and close ties to the Catholic Church. 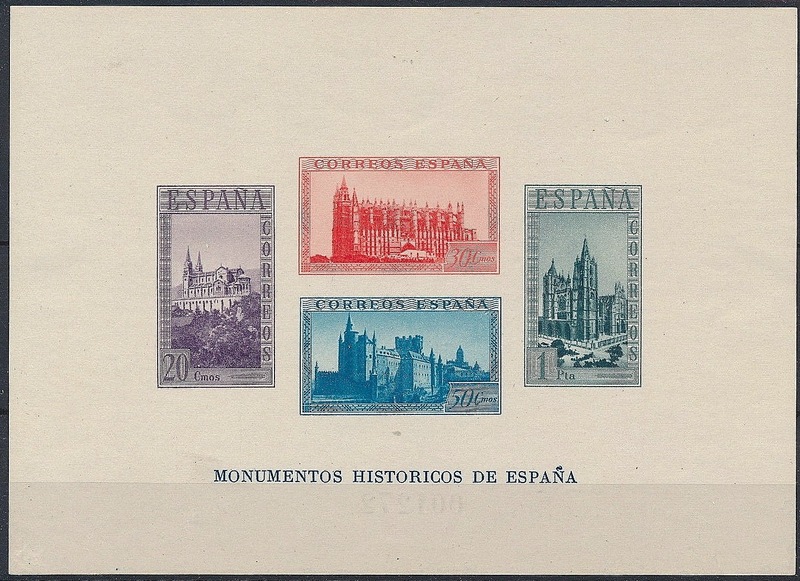 Among these were two souvenir sheets picturing Spanish cathedrals, a perforated sheet of four and an imperforate version (Scott #B108E and B108Ej). 70,000 of the perforated sheet and 30,000 of the imperforate sheet were issued, and Scott '14 prices them unused at $42.50 and $72.50, respectively. 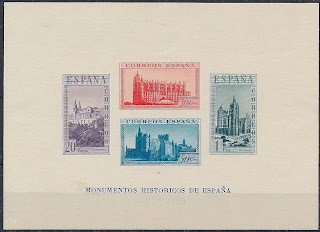 The sheets should do well based on the growth of stamp collecting in Spain, as well as among Art/Architecture and Religion topicalists. I strongly favor all scarce and undervalued issues of Spain and its colonies. 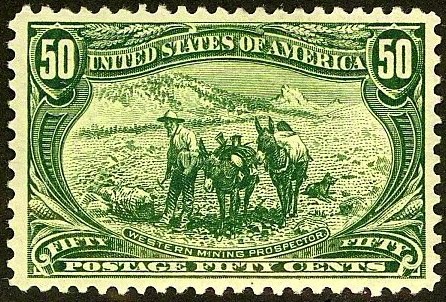 The nation has 46 million people, the 9th largest economy in the world, and the most rapidly aging population in Europe, a trend which favors the growth of stamp collecting. Spain was hit by the global financial crisis and its annual GDP growth has been flat for five years, though the economy is beginning to recover.